Predatory Pacu in Papua New Guinea? A few days ago, I came across a curious story in the aquatic news feed regarding fatalities of local swimmers/fishermen in Papua New Guinea. Though the reported fatalities occurred in 2001, the unusual events drew famous monster fish angler Jeremy Wade to Oceania to investigate and nab one of the possible culprits. Sometimes shopping for that special someone can be rough, especially if your special someone’s favorite past time is aquarium keeping. You may not know what they already have or what they need, or what they use on a regular basis. Here are a few suggestions sure to please the budding fish lovers or seasoned aquarium keepers of the family. Let’s get the obvious choice out of the way. You could play it safe with a TFP gift card. Purchase the card for any amount and allow the recipient to spend at his or her leisure. 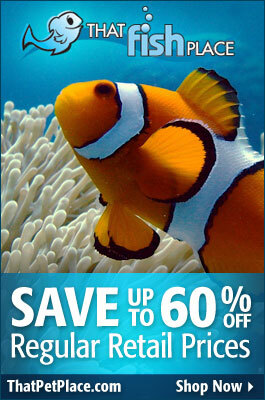 Maybe you have a child that has expressed an interest in keeping fish, or you have a friend who may not have the time for a real tank, but would enjoy a low maintenance pet. A betta set-up may be the perfect gift solution! With several new and attractive bowl habitats available, setup is quick, easy, and fun. 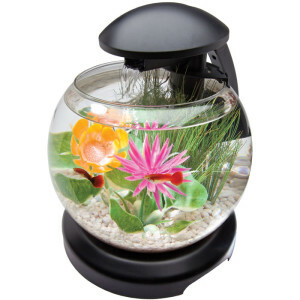 The Tetra Waterfall Globe is an excellent option, and it includes simple filtration and LED lighting. Elive Betta Bowl Planters are unique setups that combine betta enclosures with live plants! Top off the gift by taking the recipient out to pick out a beautiful, easy to care for betta and maybe some decor to adorn their new bowl.